4. Croque Glace – L’Artisan des Glaces – Many guests who spend time in Epcot love wandering through World Showcase enjoying the eleven different countries found there and the delicious food and beverage options located in each pavilion. The France Pavilion is beloved by many guests, especially thanks to its incredible dining options such as Monsieur Paul and Les Halles Boulangerie-Patisserie. Another wonderful dining option in the France Pavilion is L’Artisan des Glaces which serves up artisanal French ice cream and other assorted treats. Guests who visit the location are sure to love the Croque Glace which features one scoop of any flavor ice cream sandwiched inside of a fresh homemade brioche which is then pressed warm. 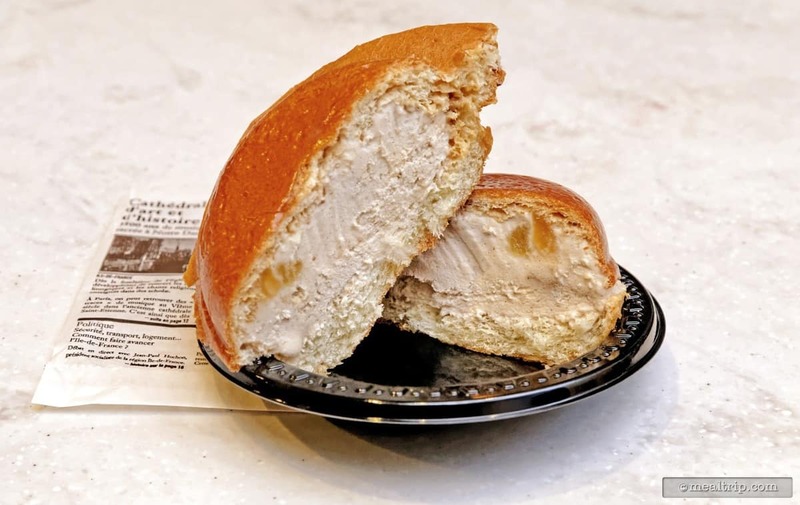 This unique and underrated snack perfectly combines cool ice cream with warm brioche for a great snack to enjoy in Epcot’s World Showcase.